Are You Drinking Good Quality Water? Water is essential to human life and the health of the environment. Water quality is commonly defined by its physical, chemical, biological and aesthetic characteristics. A healthy environment is one in which the water quality supports a rich and varied community of organisms and protects public health. 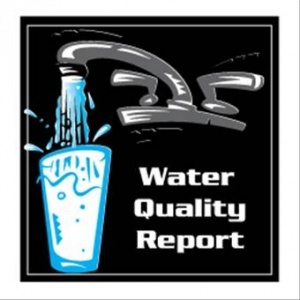 Quality drinking water is important to our health and well-being. We use water daily throughout our homes for cooking, cleaning, bathing, laundry and a host of other purposes. Clean water is a major factor for a clean environment. Drinking water varies from place to place, depending on the condition of the source from which water is drawn. Even though our tap water supplies are considered to be one of the safest in the world, water contamination can still occur. Let’s explore our options! What is a Bottled Water Dispenser? A water dispenser is a devise that dispenses water and is used to provide easy access to drinking water. 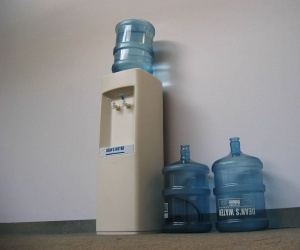 Water dispensers are commonly used in offices and residential home. Most offices prefer a water dispenser because it provides clients and employees with convenient access to water. Most water dispensers provide clean, filtered water from a replaceable bottle. Most water dispensers provide the option to have water cooled or heated. A bottled water cooler has a plastic jug on top of it, the most common size being 3-5 gallons. A water bottled dispenser has its own independent water source so it’s extremely mobile. It only needs access to a power outlet. The cost of a bottled water dispenser can often be low. Since bottled water dispensers require the water jug, you’ll need to find a place in your business or home to store extra bottles for when it needs to be replaced. Having to lift a heavy water jug onto the bottled water dispenser several times a week is definitely an inconvenience. There is a limited supply and you will have to pay every time you get water delivered, which can be a bit expensive. The way bottled water dispensers are designed allows microorganisms to get trapped in the water bottles, contaminating the water. Only about 23% of plastic bottles are ever recycled which is harmful to the environment. What is a Bottleless Water Dispenser? 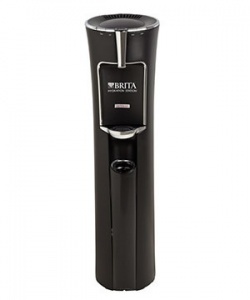 A bottleless water dispenser is also used in most businesses and residential homes. It dispenses water by getting hooked to a potable water line, so it won’t need to have a water jug constantly replaced. All you will have to do is change the filter every 6-12 months depending on the type of water dispenser. Bottled water dispensers provide cold and hot water. Water coolers only require you to lift or push down the lever to enjoy hot or cold water. It provides clean and fresh water that is free from chemicals, which improves the taste and quality of water that you will be drinking. Since bottleless water dispensers don’t require bottles, this means no need to worry about extra storage space. This dispenser is connected to your plumbing so the cooler always has clean, cold water. Bottleless water dispensers are more convenient, no need to lift heavy water jugs anymore. This dispenser is less expensive because you’re not getting water delivered every time you run out of water jugs, which eliminates delivery fees. Since these coolers don’t require bottles, they help reduce bottle waste and production, helping to lower pollution. The use of a bottleless water dispenser will both save you money and help the environment by being able to keep plastic out of landfills. The water in this dispenser is filtered and doesn’t sit in chemical leaching water. There’s no need to worry about the chemicals that are in the plastic water that might end up in the water you’re drinking. A disadvantage to bottleless water dispensers is that there is less mobility, a bottleless cooler connects to plumbing which makes it hard to change location. A bottleless water dispenser can also have a higher initial cost than a bottled water dispenser. Water and health are linked. According to the U.S. Centers for Disease Control & Prevention, the top causes of disease outbreaks related to drinking water are Giardia intestinalis, hepatitis A, norovirus, and Shigella. There are also health risks related to water contaminated with organic and inorganic matter, other bacteria and viruses and other pollutants. Some studies link high levels of lead in drinking water to delays in physical and mental development, short attention spans, and learning difficulties in children. Water is essential; after all, the human body is 70% water. High quality water isn’t just good for your health, but it’s also good for your home and appliances. Softened water can save you money by keeping appliances more efficient and making them last longer.